Fibaro Roller Shutter is a universal, Z-Wave compatible, electric motor controller. The device allows for controlling motors of roller blinds, awnings, venetian blinds, gates and others, which are single phase AC powered. 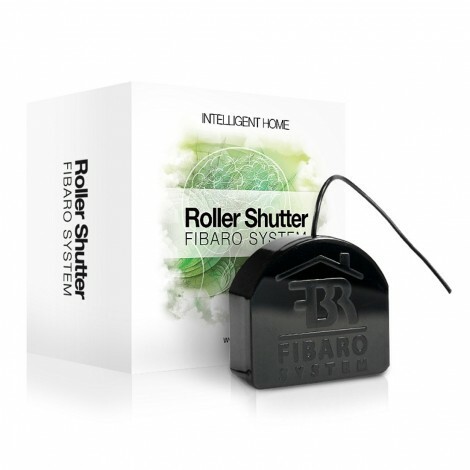 Fibaro Roller Shutter allows for precise positioning of a roller blind or venetian blind lamellas. Precise positioning is available for the motors equipped with mechanic and electronic end switches. It’s also possible to combine few devices into groups of devices, which then can be controlled simultaneously. In addition, Fibaro Roller Shutter is equipped with Power Metering.